The police have launched investigations into the murder of Independent Electoral and Boundaries Commission’s slain ICT manager Chris Msando. Msando and a 21-year-old woman were found dead in a forest in Kikuyu, Kiambu county on Saturday, July 30, after Msando’s widow reported him missing since Friday, July 28. 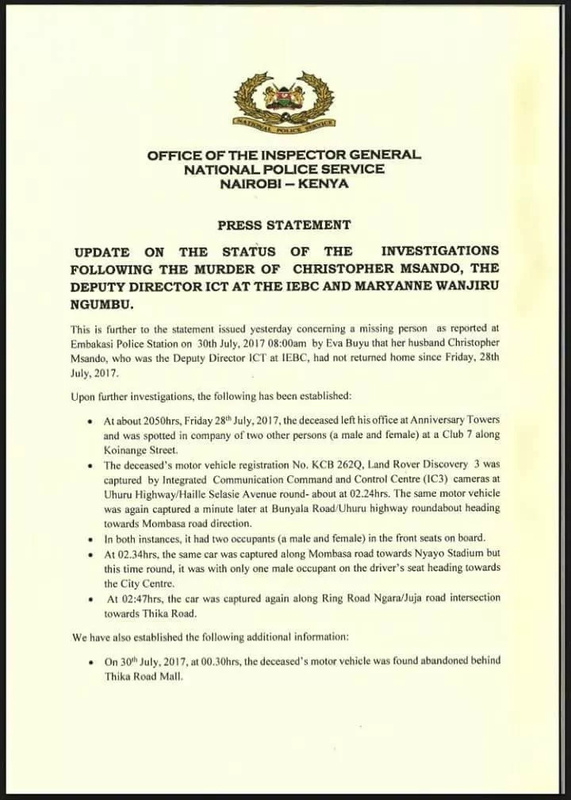 His body was discovered at the City Mortuary on Monday, July 31, after searches for him among the living proved futile. 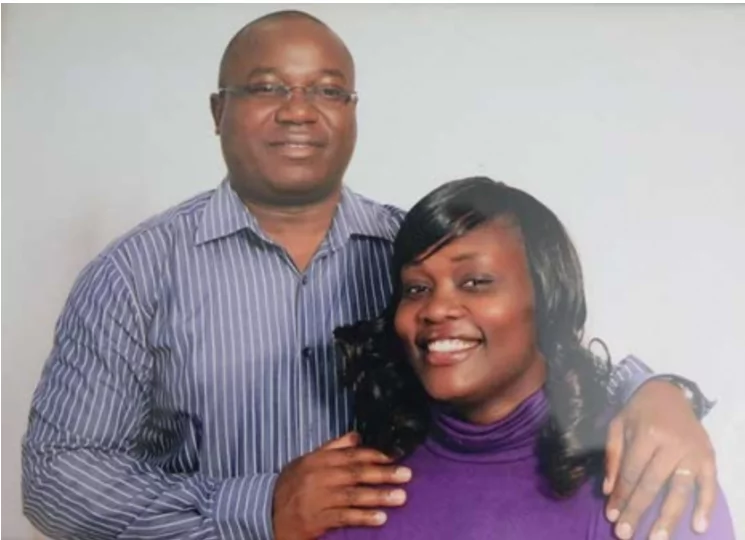 Among the list of those questioned are his widow, Eva Buyu, and a waiter at the club where Msando and Caro Ngubu were spotted on their last night alive. Further investigations in Roysambu- where his car was found parked on Monday, July 31, revealed Msando could have been a frequent visitor to the Thika Road estate. According to a water vendor who was questioned, the vehicle had also been parked at the same building it was found two weeks earlier. “I remember this because the car blocked the loading point for my water tanker,” said the man according to a statement issued by Inspector General of Police, Jospeh Boinnet. A woman living in a house near the Thika Road Mall was also questioned by police. She was particularly of note as on more than one occasion, she apparently returned home late and threw the domestic manager out. The woman, described as noisy, was believed to either be the second wife or a girlfriend to Msando. She remains unidentified.